“Our house is gone, it is destroyed. 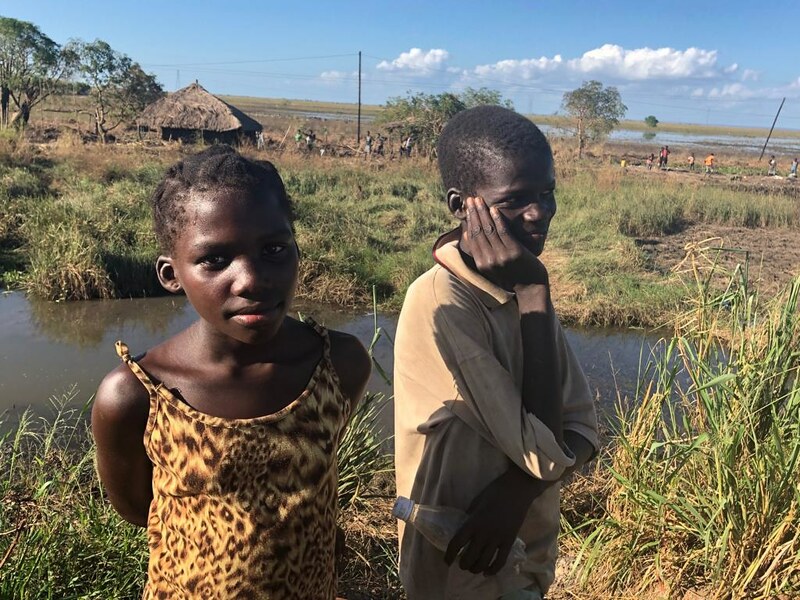 Our clothes are gone, everything is gone,” says Rita Farriya, one of 600,000 people across Mozambique affected by the devastating Cyclone Idai that hit on 15 March. Rita, a mother of two, was one of those whose house survived the storm but was bulldozed by flooding the following day as rising waters destroyed everything in their path. Some 843 people were killed by the storm and subsequent flooding across flat rural areas in Mozambique, Zimbabwe, and Malawi. Hundreds of thousands of people throughout all three countries are displaced and in need of food, water, and shelter. 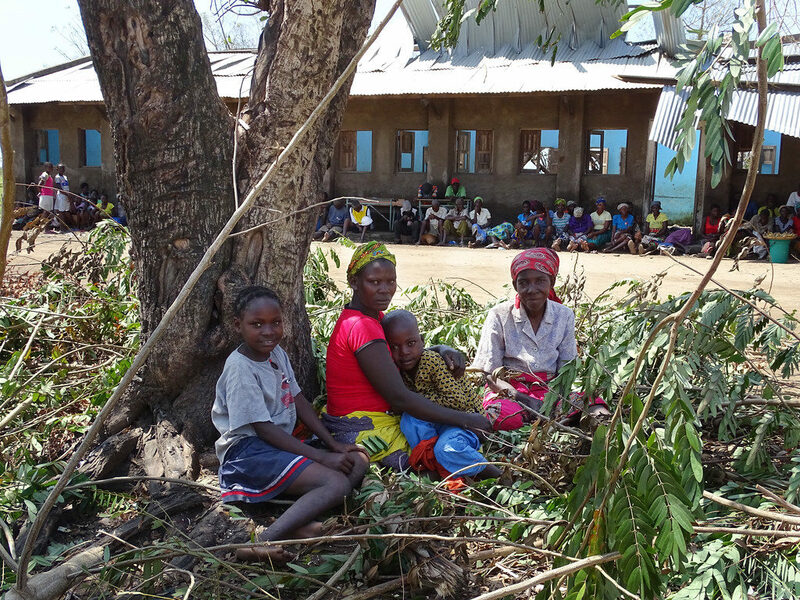 Caritas Mozambique and its global partners are providing support to affected families. Rita is among thousands of people who sought refuge at the destroyed Muda-Mufo primary school in Nhamatanda district, a refuge where Caritas is helping in one of the country’s most isolated areas. For those like her who are staying at the school with her children, finding food is the chief concern. Volunteers from Caritas have been distributing food kits, including oil, sugar, rice, beans, salt, and soap. In Beira, Caritas continued distributing food aid to 1,640 families. In Chimoio, the team has set up a model shelter using the 500 tarps. But the needs of those affected by the cyclone area great. Among those who have sought shelter at the school is Antonio Fernando, 30, a farm worker. Antonio, a father of three who sought refuge with his wife, sister, and mother at the school, says that his house and his life savings were destroyed in the floods. “I feel very bad because I have no help. It is difficult now. I’m with my family, but we have no food,” he adds. Crops have been washed away or inundated, destroying people’s livelihoods and people are hungry, eating only one meal a day. People can even be seen trying to sell spoiled corn in the market. For those whose worlds revolve around the school during normal times, much is at stake. Veronica Mavundo, 38, teaches 3rd-grade classes, but her classroom is destroyed. She came to the school soon after the floods so she could see it with her own eyes. The teachers have repaired the main roof, but there is much to do before the school can function again. And, it remains a place of refuge for those who have no homes to return to. And, like the thousands filling the school grounds now, the healing, grieving, and recovery from the country’s worst disaster in nearly 20 years is also a new experience they must face. The Bishop of Beira, Claudio dalla Zuanna, says the church is determined to carry on to help his parish rebuild. “We can’t only cry about the Church [in Beira] that fell, but we have to look ahead,” he says, adding that the remote area, which is impoverished and cut off from development, must be helped so that it is better off than before the cyclone hit.